Wearable technology comes in a range of styles and functions that can be worn on your body, clothing, or mounted to personal equipment such as bicycles, surf boards and skateboards. Put fitness first with wearables that allow you to track your speed, distance, cadence, stride, heart rate, oxygen levels or calories burned as you exercise. 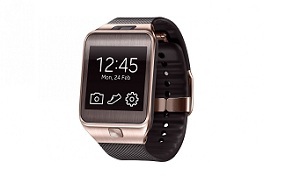 Devices vary between wristbands, watches, and clothing clip-ons that offer immediate access to data. Wristband and watch - Provide quick and easy access as you train or exercise. Wrist accessories offer anywhere, anytime fitness reports no matter what you are doing. Clip-on - Suitable for anyone who gets discomfort from wrist devices. You can attach the device to most items of clothing including bras, belts, zippers, shoelaces and more. Strap-on - Offer a secure alternative fitness tracking. Some strap-ons such as heart rate monitors are designed specifically to provide more detailed data. The range of technology between fitness devices varies according purpose and design, such as running, cycling, training or activity motivator. 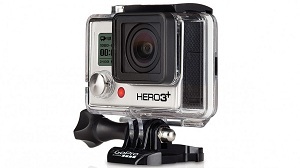 Record your exciting escapades on wearable and equipment mounted action cameras. Designed for extreme activities, such as snowboarding, sky diving, skateboarding or any adventure where you need a lightweight and comfortable camera. Many of the technologies in wearables and other portable devices are within smart watches to provide access to frequently viewed information right on your wrist. Some can run "micro apps" that allow you to complete tasks without taking your phone out of your pocket. Smart watches offer the convenience of a watch and freedom of a mobile phone including an array of technologies, such as built-in heart rate sensor and other health features that allow you track your daily pattern of exercise. Check with our customer services, sales staff, or refer to specifications tab on product pages to ensure the wearable technology you intend to purchase meets your required needs.